I’m extremely happy to announce the release of a collaborative record between Peter Broderick and myself. Its first track, “The Drive”, is now available for streaming on Soundcloud, but if you can resist the urge and be patient, I would strongly recommend waiting for the full vinyl experience! It should be hitting stores near you on June 16th via Erased Tapes. “Greg and I became good friends while both living in Berlin, around 2009 to 2013. We spent countless late nights playing records for each other, dreaming the dream of good music. We talked a lot about collaborating and even put in quite a few hours at each other’s studios . . . but for some strange reason we never seemed to finish anything. Maybe we were just busy enough with our other projects and didn’t feel in any rush. But we certainly had it in mind that we’d like to finish something one day. And we are very proud to say that day is finally here! 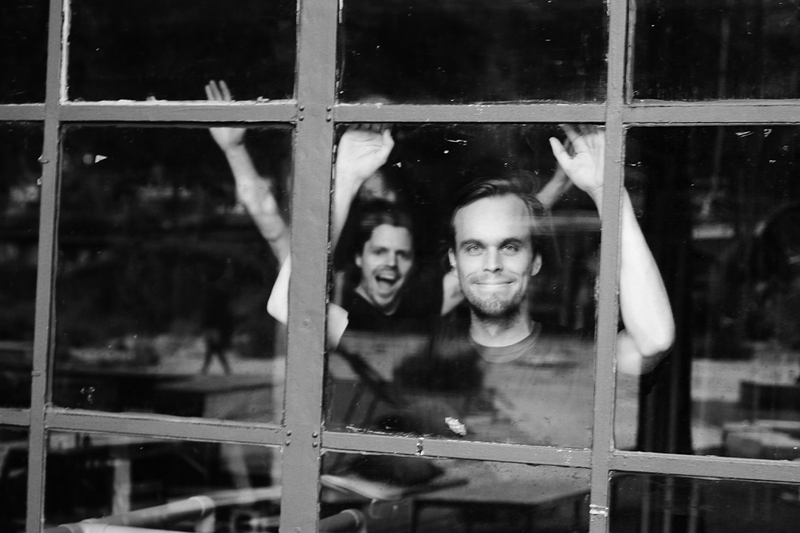 Peter Broderick (1987) is an American born multi-instrumentalist and singer. In his later teenage years he became entwined in the Portland (Oregon) indie folk scene, recording for the likes of M. Ward, Laura Gibson and Dolorean. 2007 saw him moving across the ocean to Denmark, where he began a long collaboration with the band Efterklang, touring the world with them for the next five years. Meanwhile he recorded several albums of solo material, ranging from sparse classical compositions (Float) to homemade folk music (Home), constantly experimenting with different musical genres, and also being commissioned to write music for several films and contemporary dance works. He then lived in Berlin for several years where he met and collaborated with Nils Frahm, Dustin O’Halloran and several others. He now lives back in America, near where he grew up, and continues to travel the world performing solo concerts and collaborating with a vast array of different musicians and artists. Over the course of seven years, British born and Berlin based composer Greg Haines has carved out an intensely beautiful corner in the vast and ever-growing musical world. He has surprised music lovers around the globe with his unique and overtly personal approach to creating and performing a very patient and contemplative music, and with his numerous projects with other musicians and choreographers, including his collaborations with choreographer David Dawson for the Dutch National Ballet and the Royal Opera House, and his on-going work with The Alvaret Ensemble and The Group.